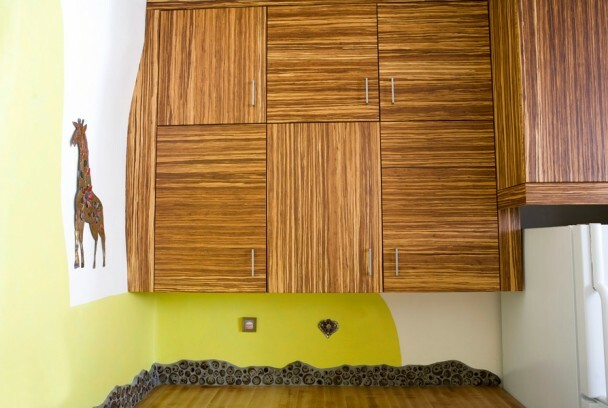 Notice the soft, thick walls created by the use of rice straw bale building construction practices. 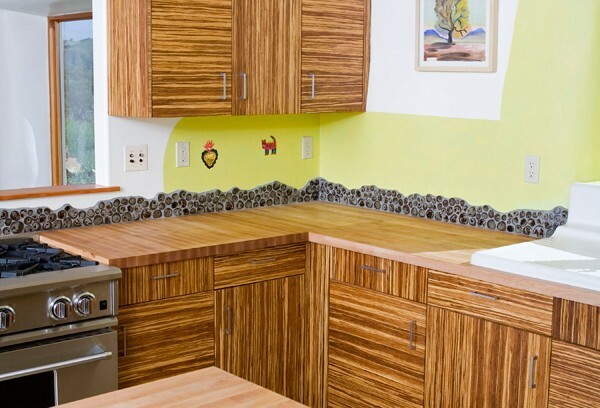 The panels are constructed of tiger woven bamboo, a weaving of the honey and amber woven bamboo. 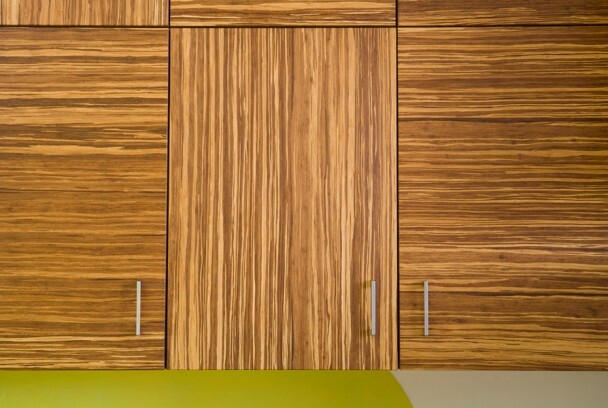 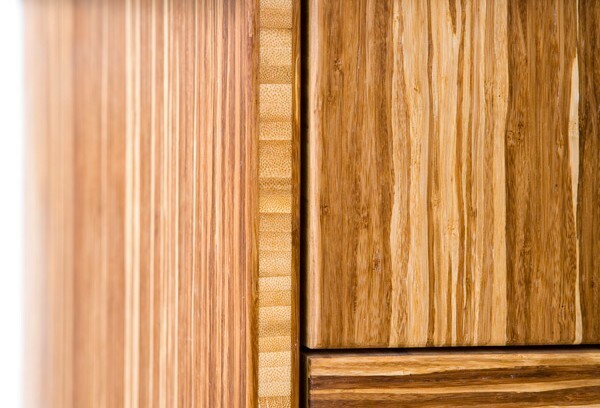 The grain runs in a mixed display of horizontal and vertical on the faces and end panels of the cabinets. 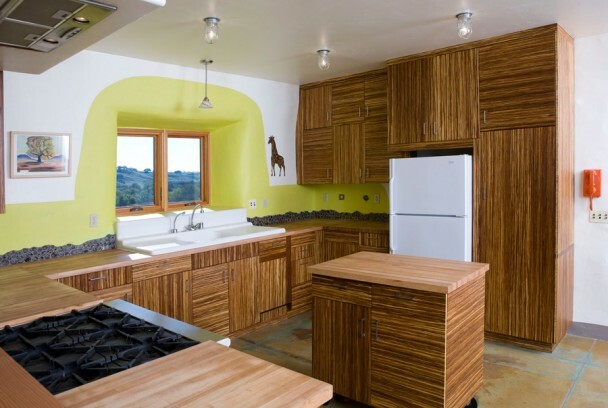 Notice the extensive and "tight" scribing along the straw bale walls.